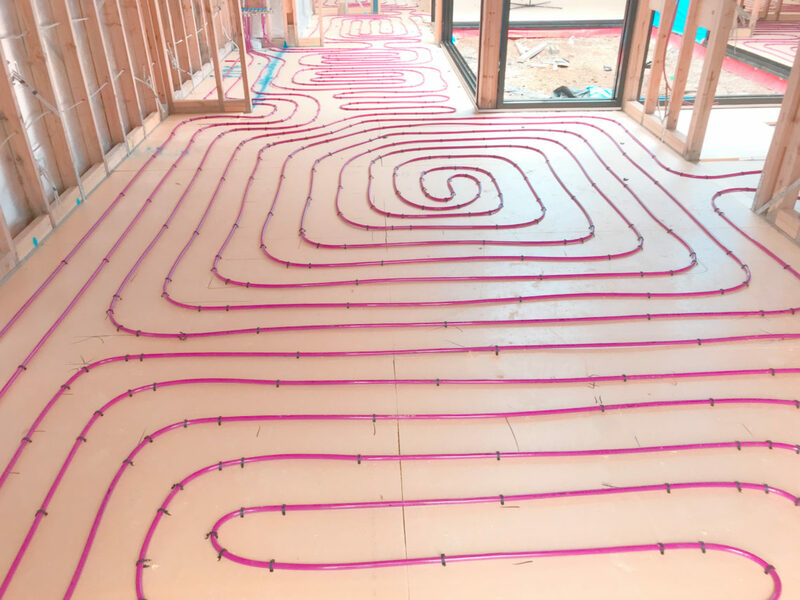 When thinking about heating for your new home and extension, there’s no better option than a Hydrofloor hydronic floor system. Discuss hydronic heating systems with your architect or builder — or with us right here at Hydrofloor. You’ll discover how choosing an in-floor hydronic system creates synergy with contemporary architectural elements and, because the floor heating system is entirely concealed, you also enjoy total design freedom. There’s no need to plan around ducts, vents or radiators with a hydronic floor heating system. If you are a discerning homeowner seeking clean, quiet and low environmental impact heating, consider retrofitting hydronic floor heating. Hydrofloor enjoys a decades-long history of successfully completed residential, commercial and community floor heating projects. Contact Hydrofloor today about your hydronic heating for your new home and extension.